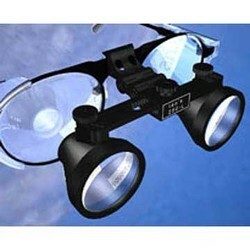 Dental Loupe are developed using latest technology support so as to deliver precise functioning. Coming with fixed focusing distance, it has magnification of 2.5x, 3x, 4x, 5x & 6x with working distance of 370 mm/420 mm/460 mm/500 mm. Further, the system has field of vision of 120-55 mm with resolution of 12-20. These dental surgical loupes are driven by precision and provides for superior magnification that is highly desired for dental treatment. 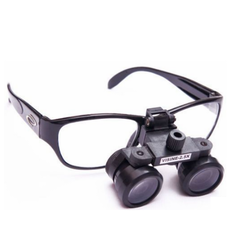 Dental Surgical Loupes are precision developed according to private data of Interpupillary and features fixed focusing distance as well as magnification possibilities of 2.5x, 3x, 4x, 5x, 6x. The system also features working distance of 370mm or 420mm/460mm or 500mm with field of vision being 120-55mm and resolution of 12-20. 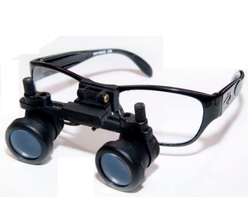 For durable performance support, all Loupes constructed using premium-grade optical glass. Our organization is an eminent name, which is engaged in delivering Dental Loupe to the respectable clients. The offered range of dental loupes is available in various specifications such as colors, shapes, designs and sizes to append and respond to the diverse requirements of esteemed clients. In addition to this, the offered range of dental loupes is inspected on different characteristics to ensure its adherence with the international quality norms and standards. 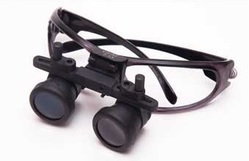 Looking for Dental Surgical Loupes ?